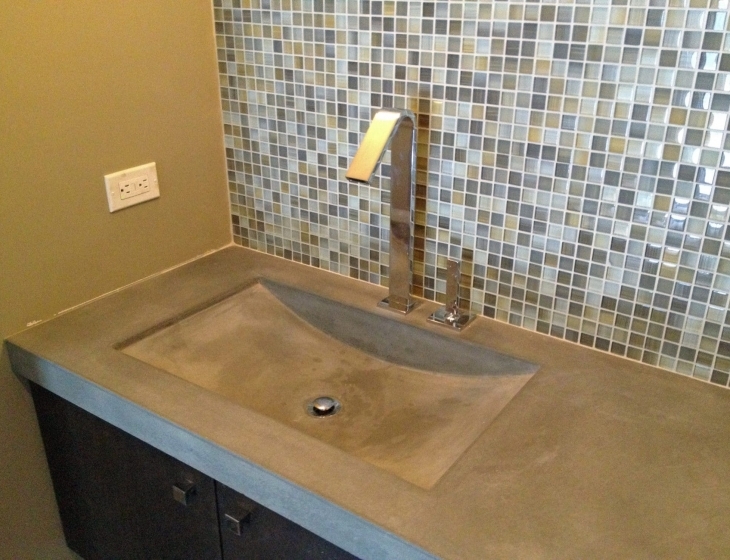 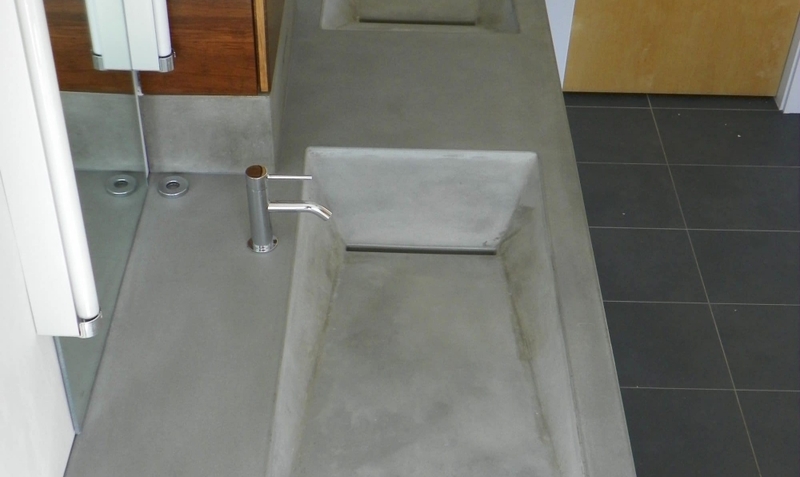 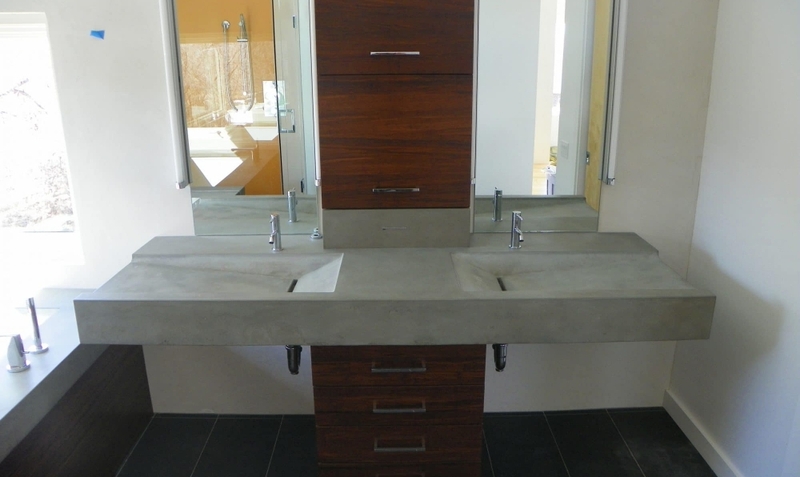 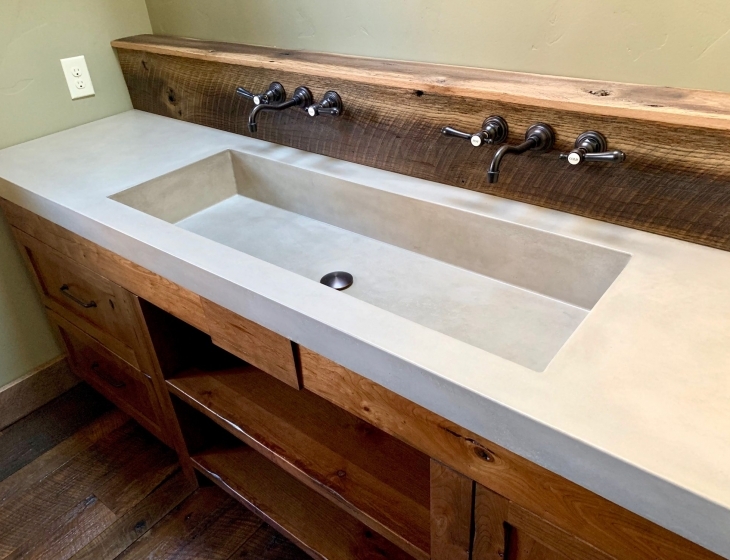 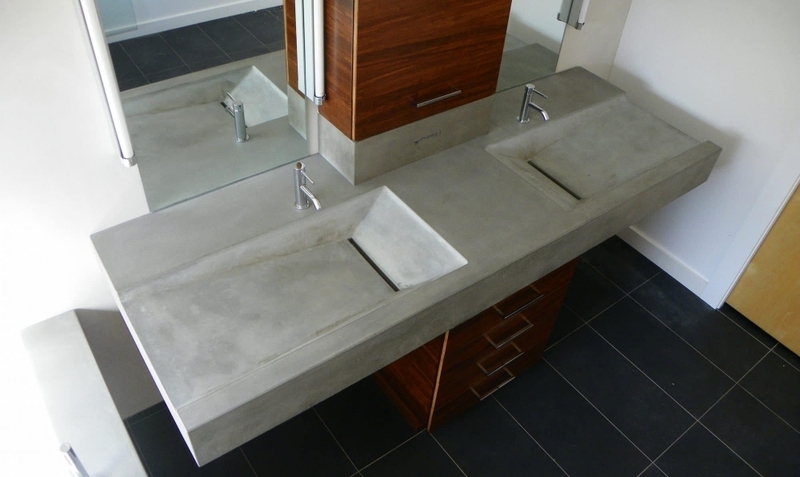 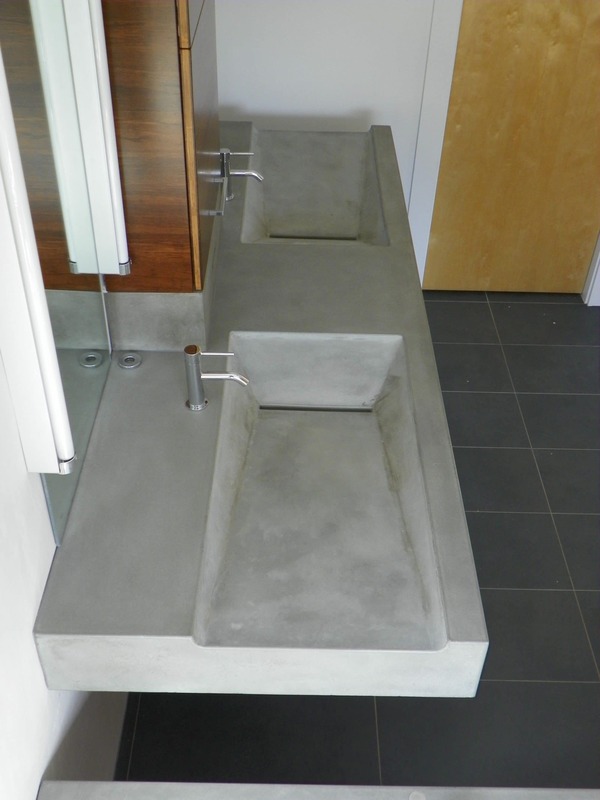 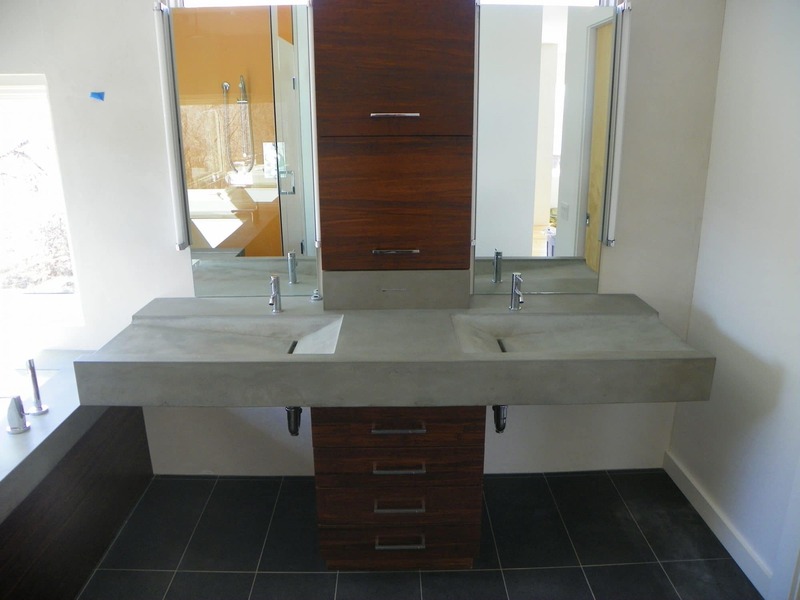 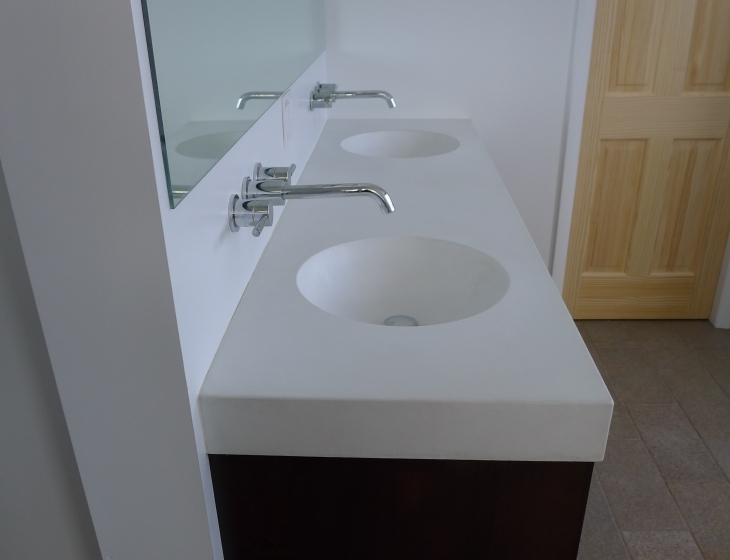 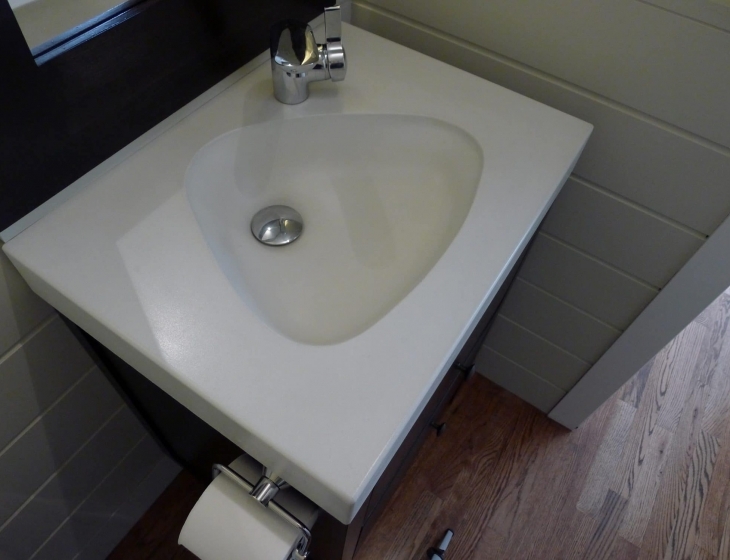 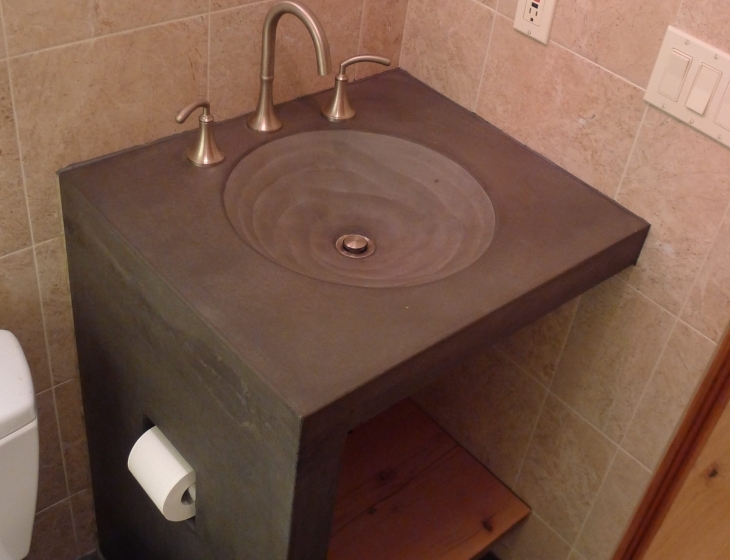 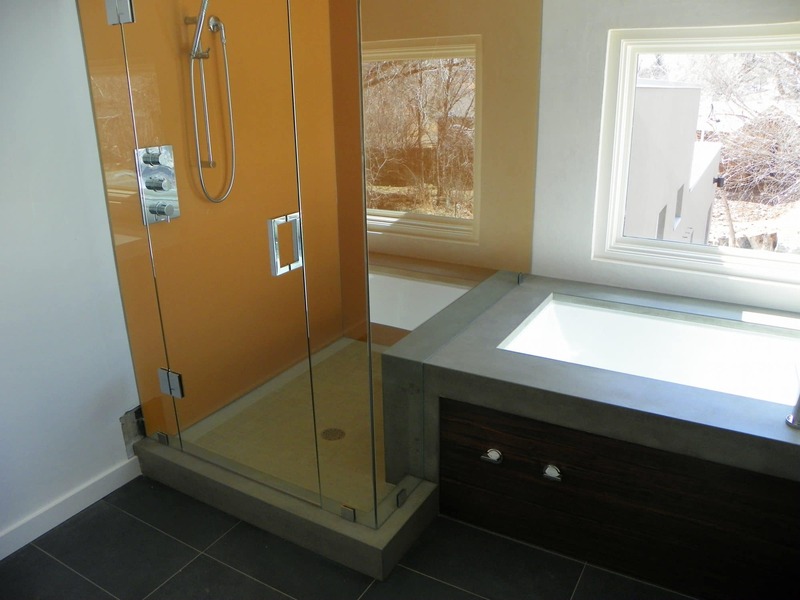 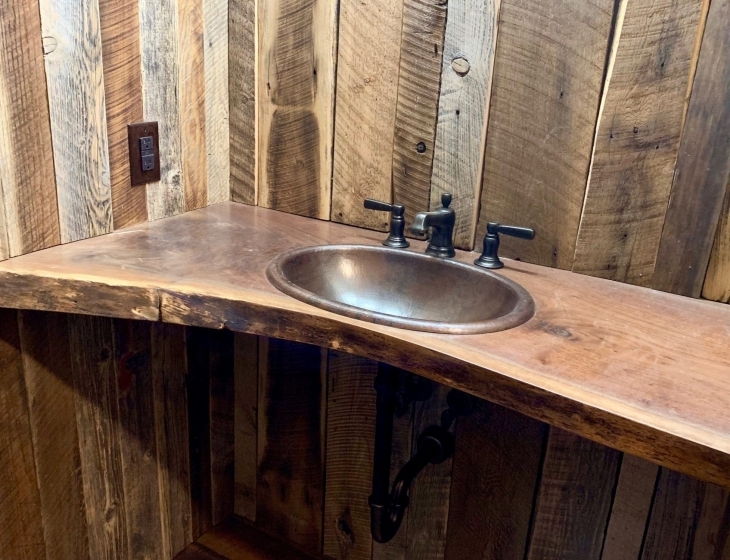 This new build bathroom in North Boulder consists of a concrete double sink, tub deck, and shower curb. 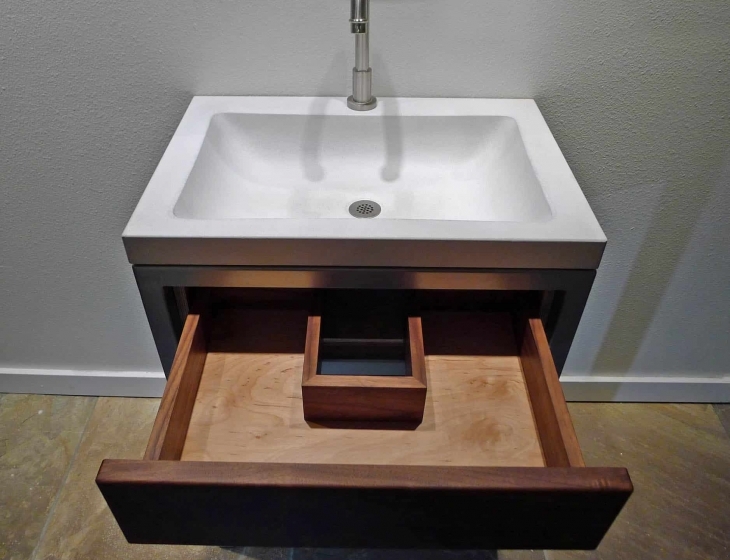 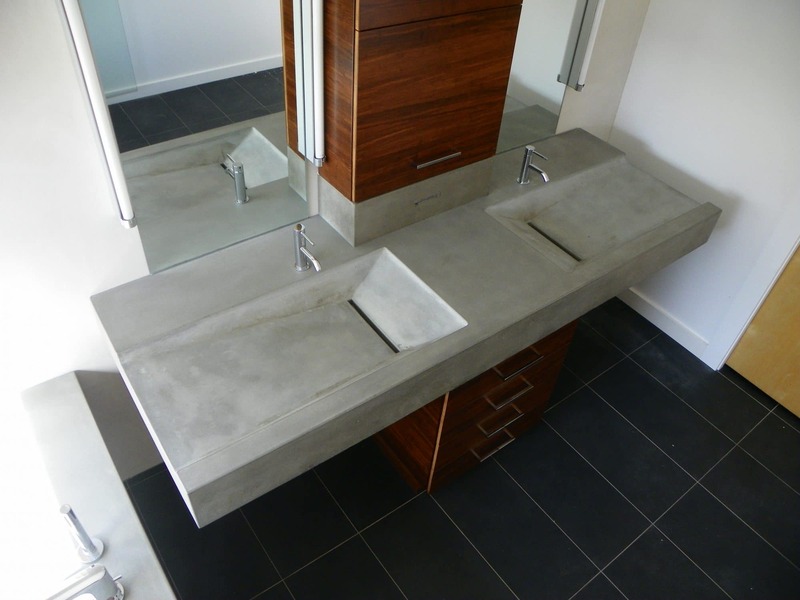 The floating double ‘Alpine’ sink rests on bamboo cabinetry and is anchored to the homes exterior wall to support the cantilevered ends. 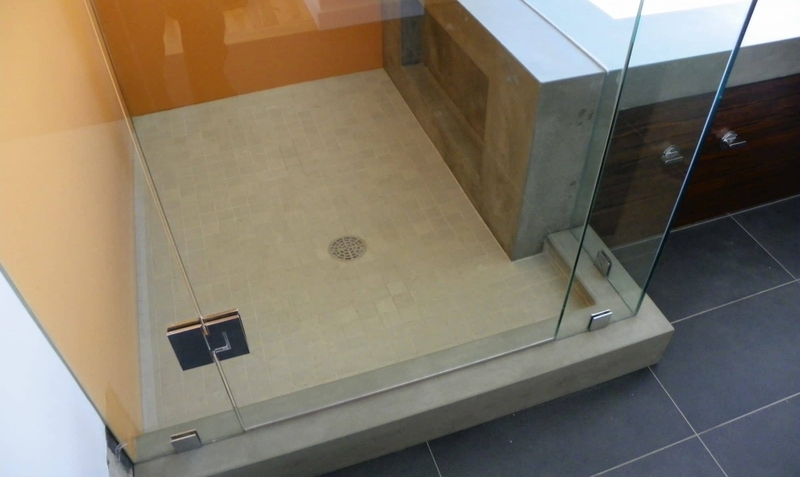 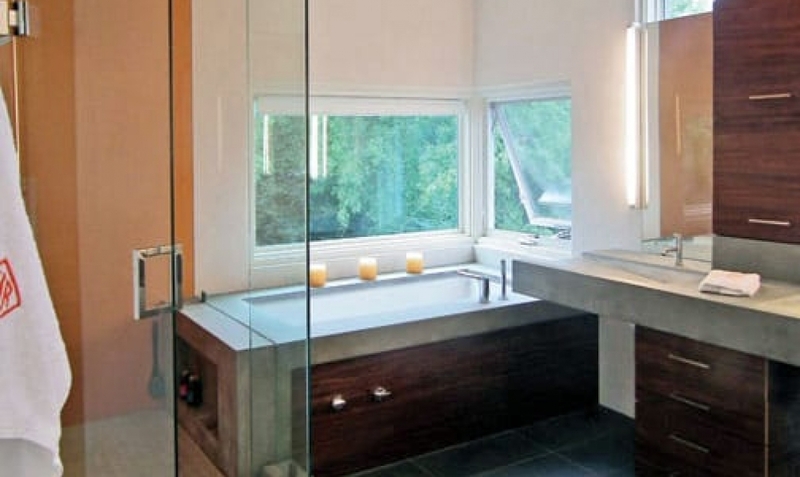 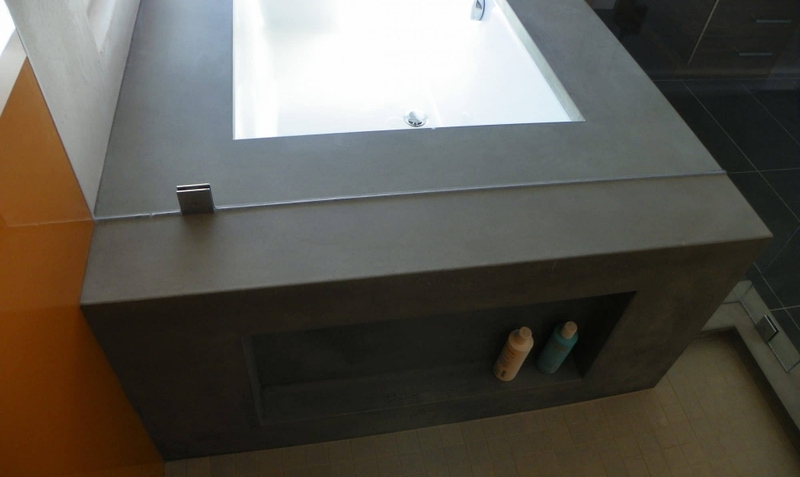 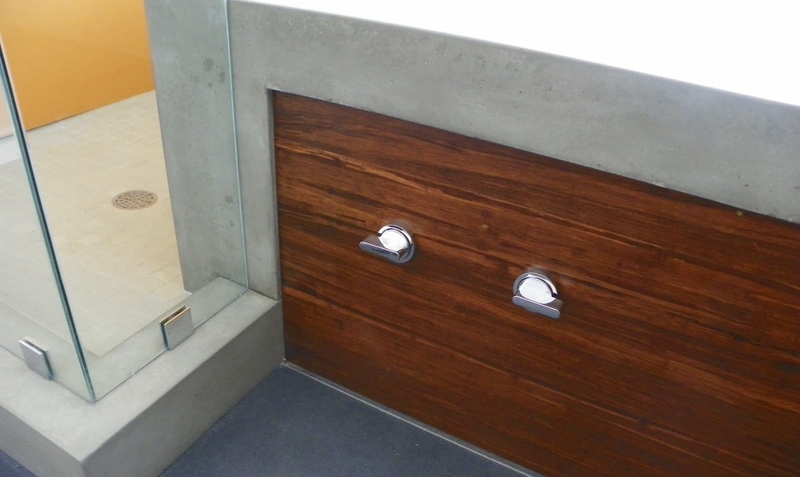 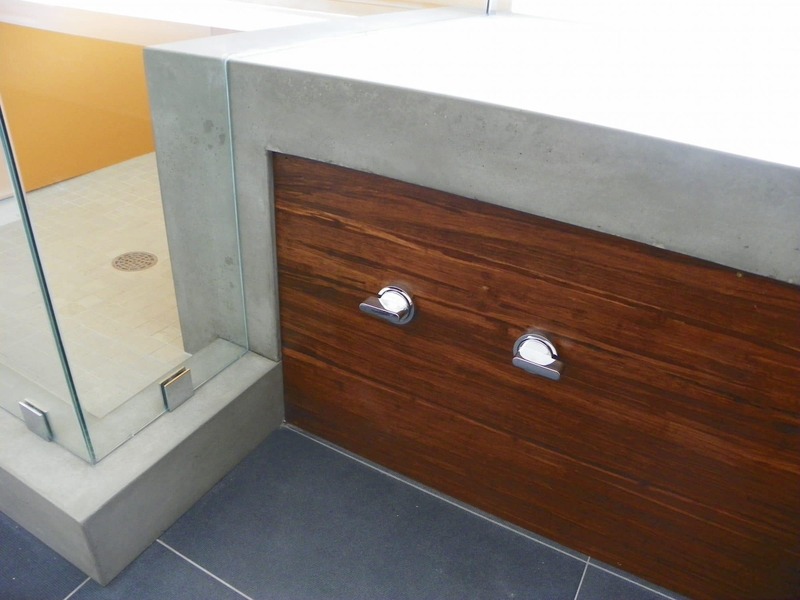 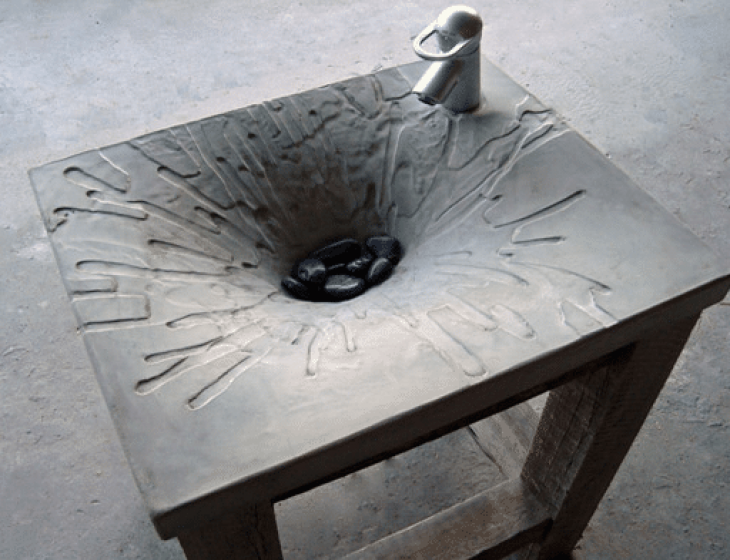 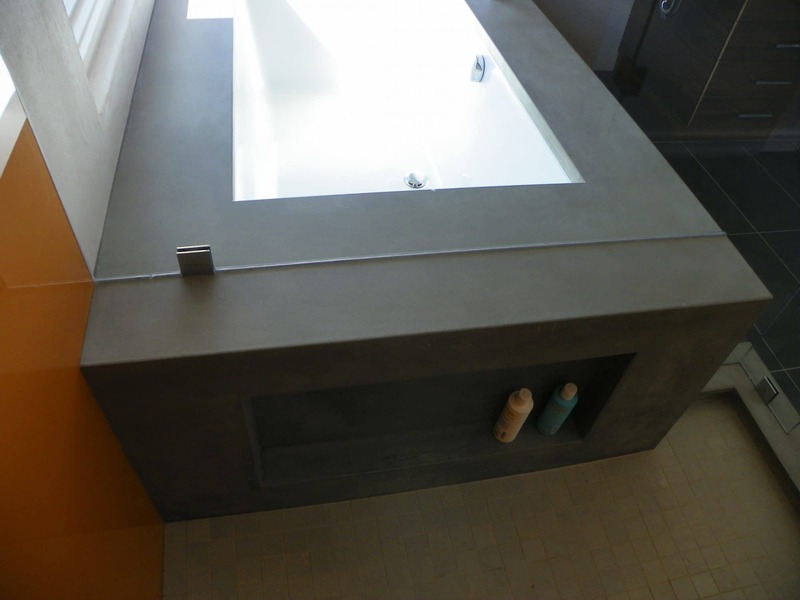 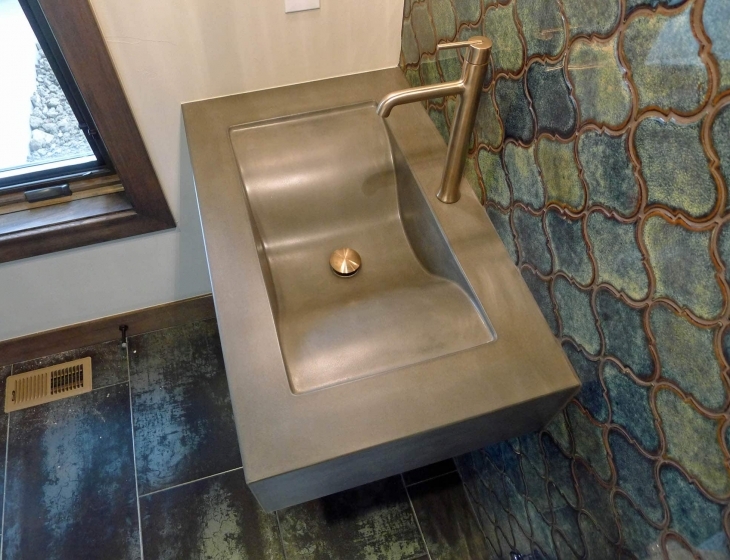 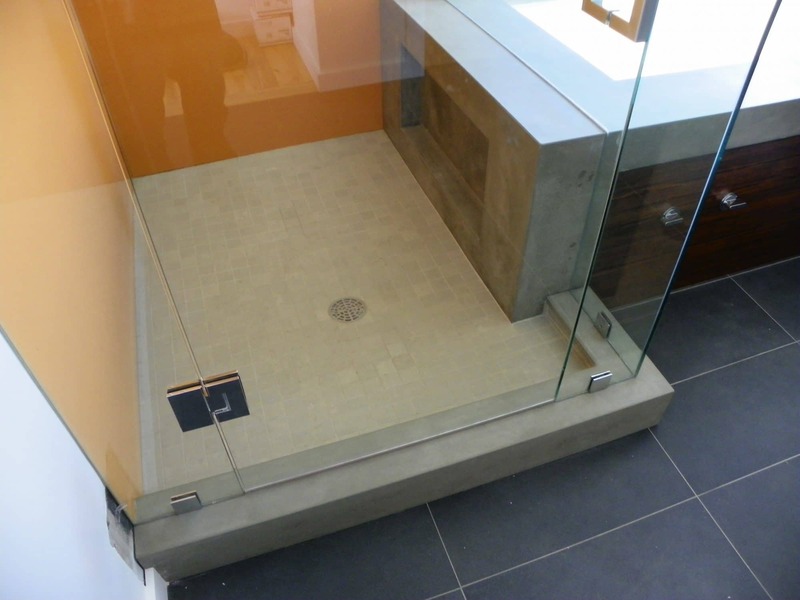 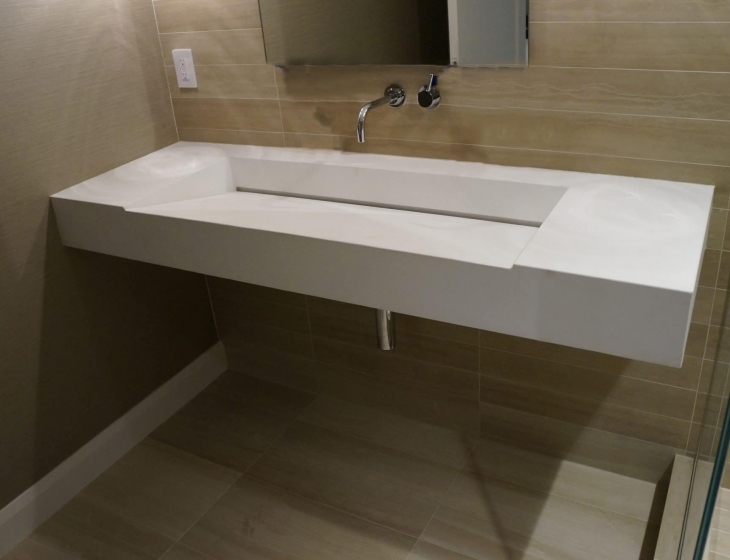 The tub deck transitions into the shower and features an integrated niche. 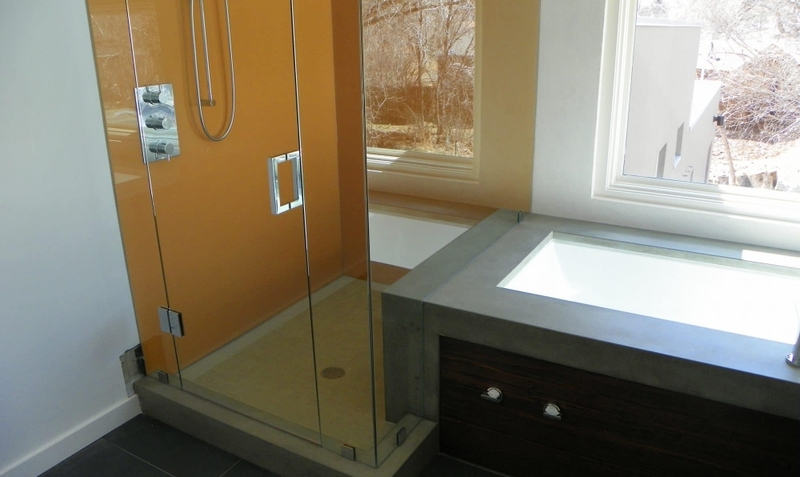 The homeowners lost their previous home in the 2010 Four Mile Canyon fire. 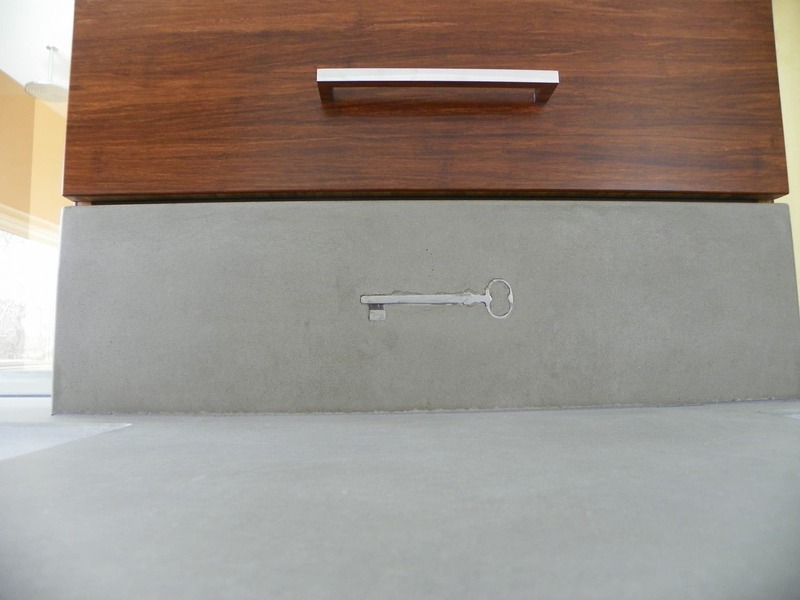 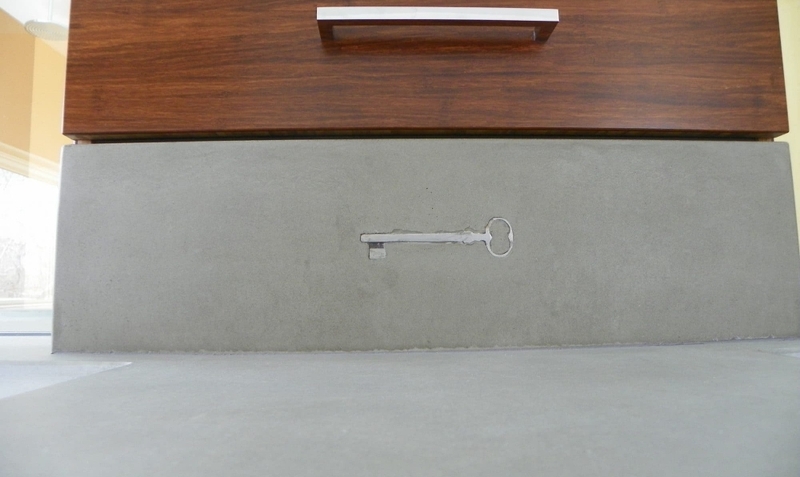 Amongst the ruins were a collection of antique keys, one of which we embedded on the plinth supporting the upper cabinet.